We have several berths available for a lay by berth. Short term or long term. A seavessel, vessel, sea pontoon, pontoon. 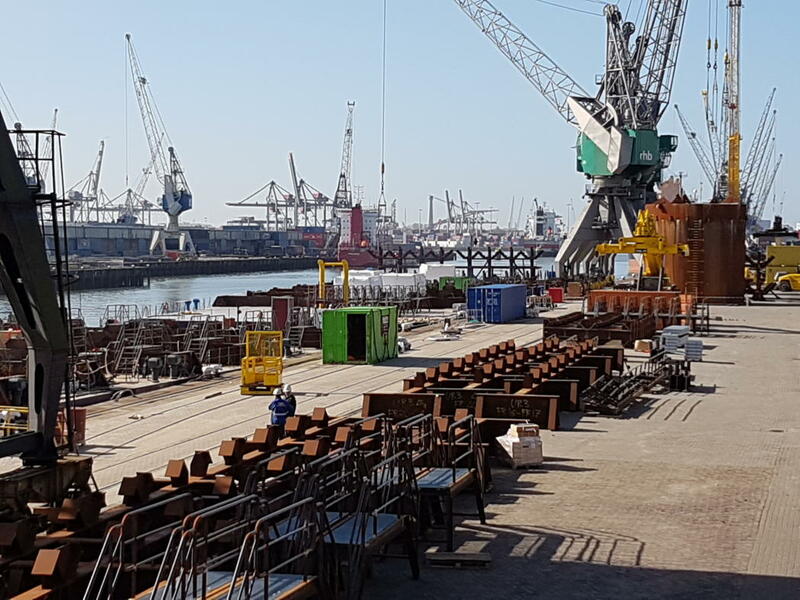 730 metres quay length and a maximum draft of 10 metres. 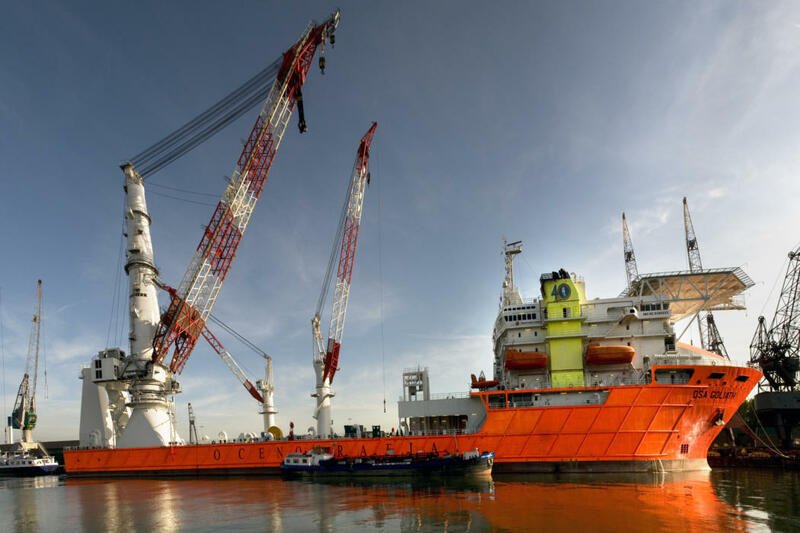 Pinning of offshore vessels is a possibility. 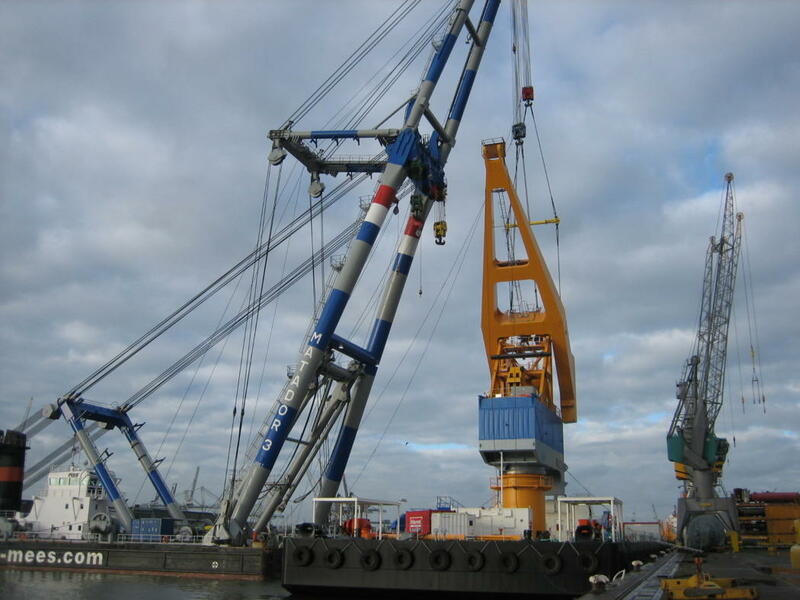 Crane assistance up to 208 tons, floating cranes, forklift assistance, quay-dues and isps dues are available on request. 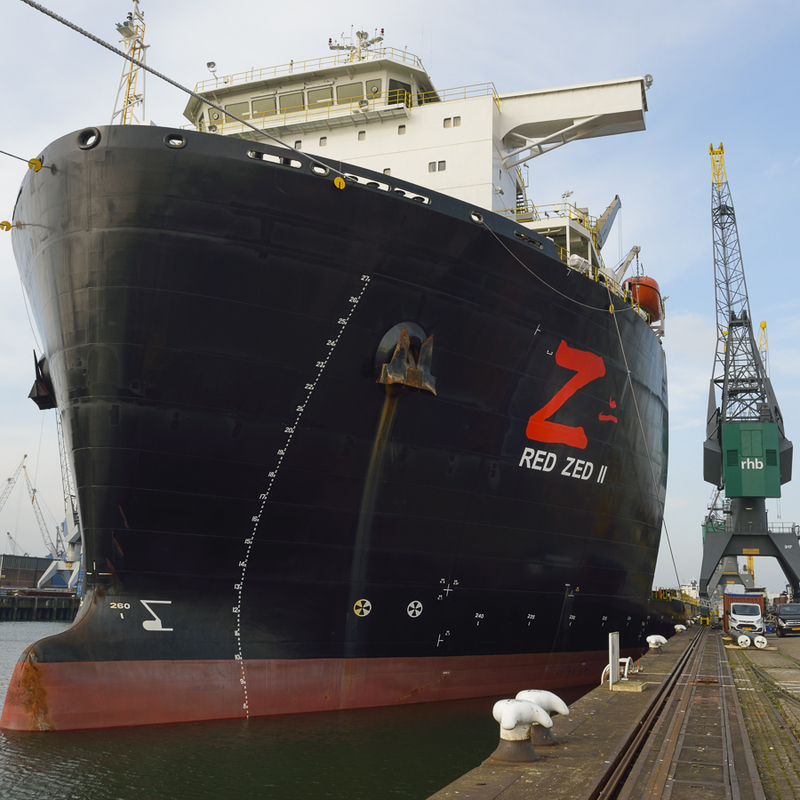 Ship’s agents can use this independent berth and terminal. 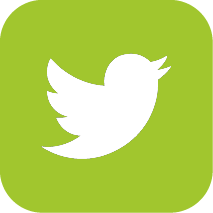 Ask our rates ! 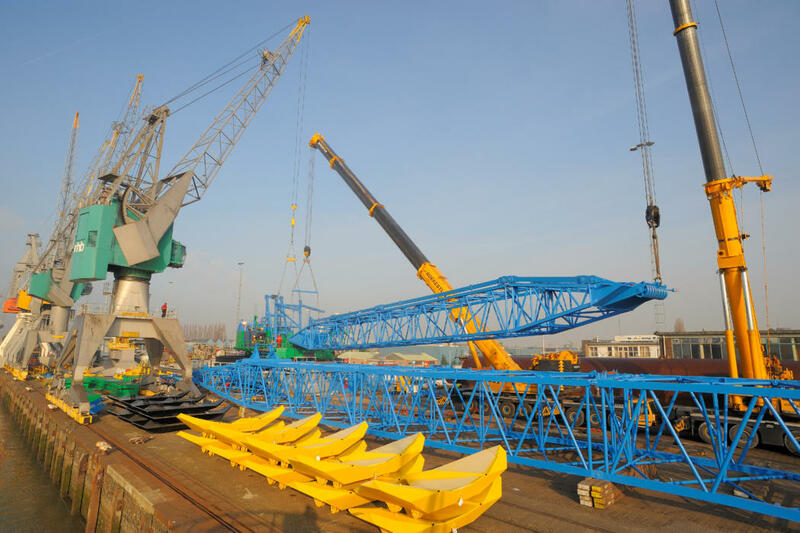 Our terminal RHB Stevedoring & Warehousing is useful for the assembly of all kinds of equipment. 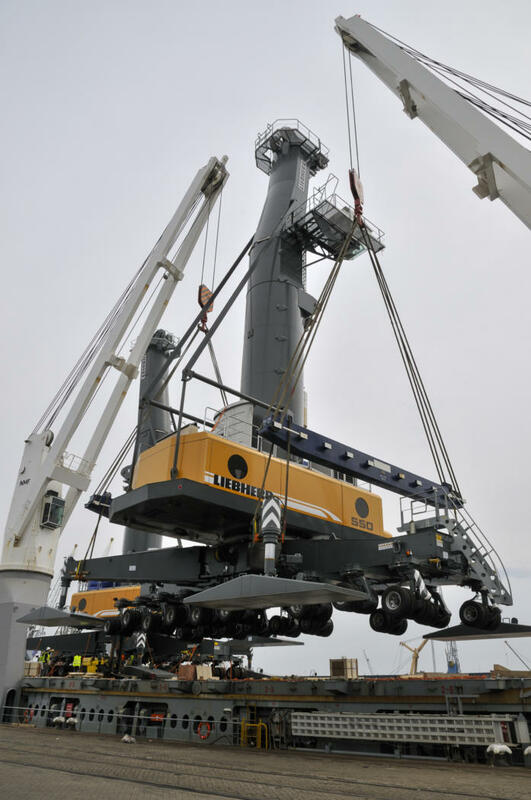 Manufacturers, traders, forwarders, agents use it for example for building up new & used cranes in order to ship them out as one big unit. 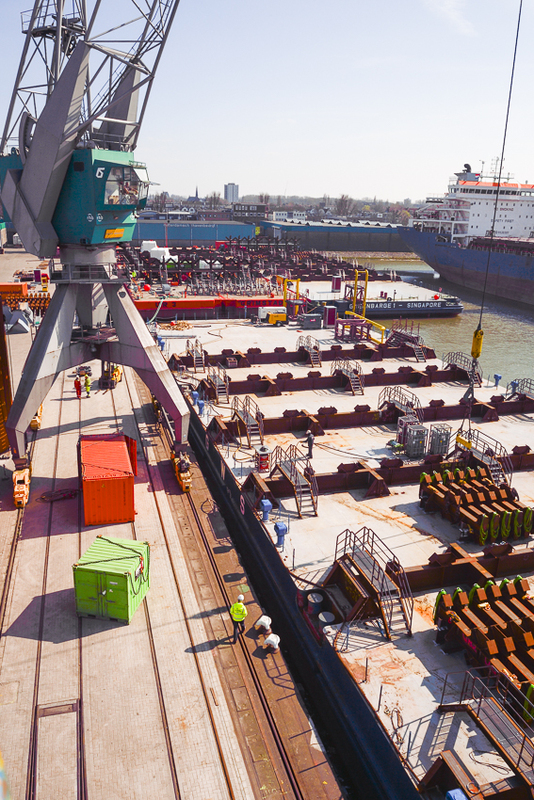 If necessary SPMT units are used for RO/RO transport from pontoon to quay or v.v. 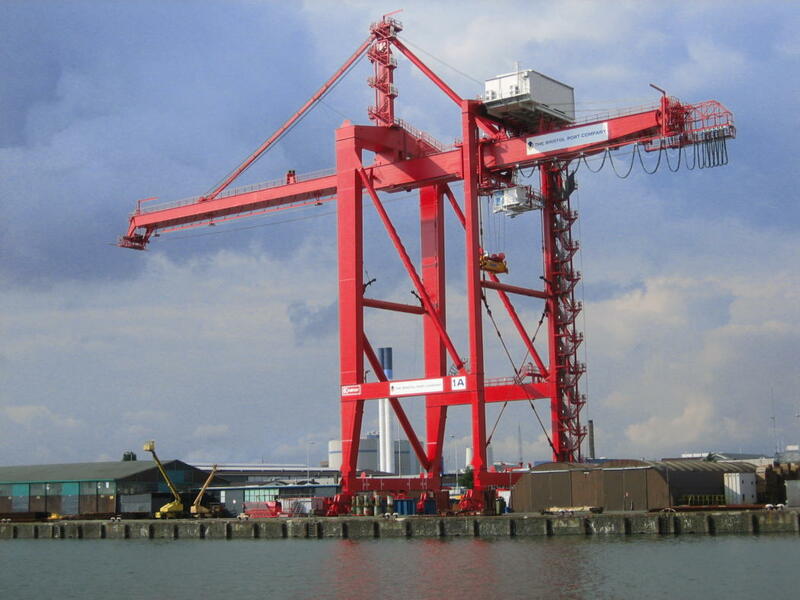 The shorecranes up to 208 tons, floating cranes up to 1.800 tons, forklift trucks, scaffolding, cherry pickers, temporary offices, toilets, welders other equipment or professional labour & space for carrying out these works are available. 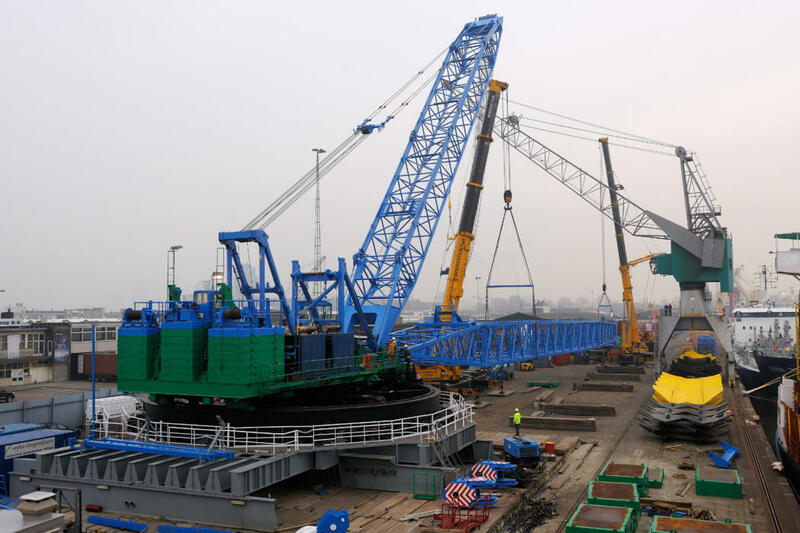 Several ship repair companies use our berths for repairs onboard of engines, anchors, pumps where also crane assistance is needed. Hull cleaning at our terminal is a speciality. Use the Power of Rotterdam!! 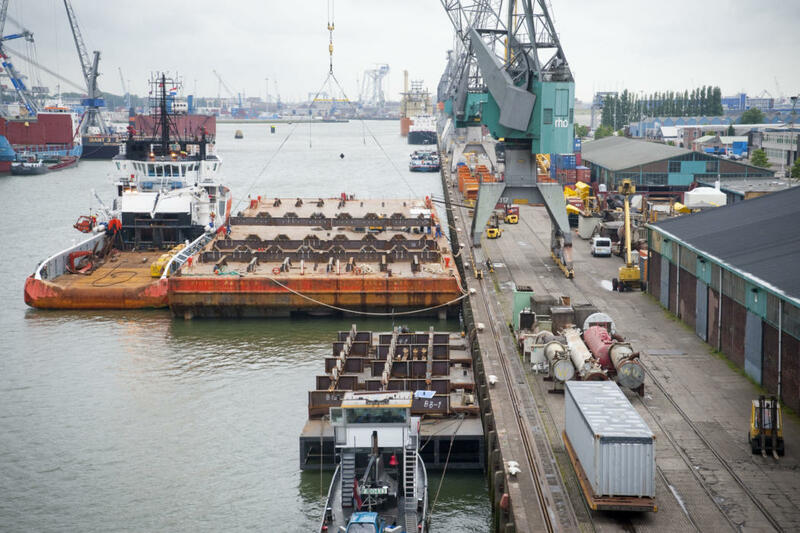 Further on regular basis we assist the Offshore vessels during Mobilisation or Demobilisation in the Port of Rotterdam at our terminal RHB Stevedoring & Warehousing Port No. 2157 Waalhaven n.z. 4 – Rotterdam.